As if Apple #bendgate was not enough, users are now reporting their new iPhone 6 is plucking out hairs from beards and heads. One such users tweeted - "The seam on my iPhone 6 where the aluminum meets the glass is definitely catching my hair and pulling it out,". The problem is now being confirmed by many (also, demonstrated on video as shared below) and it seems the fine gap between the aluminum casing and the glass front of the device is catching and pulling out people's hair. 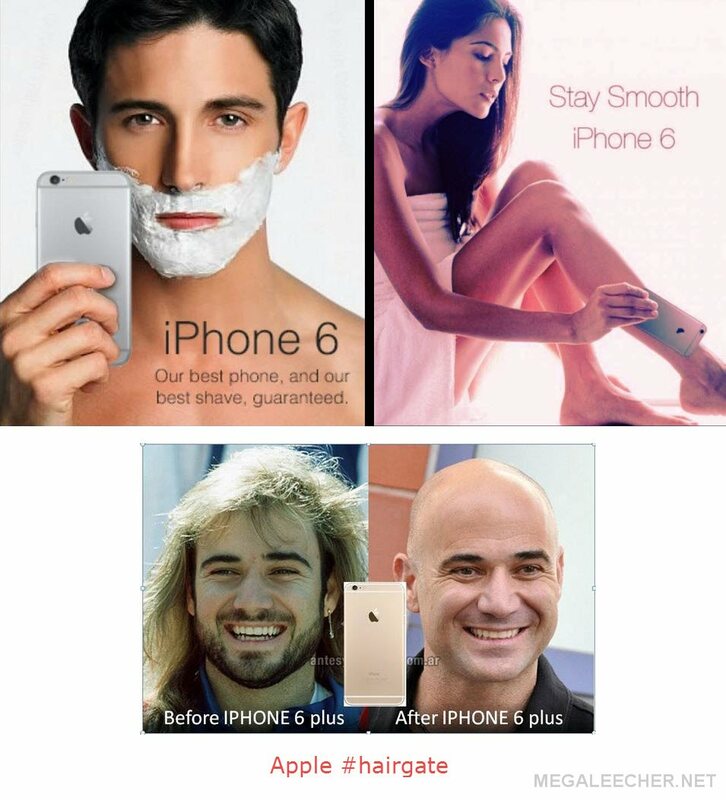 The same is now being called #hairgate/#seamgate/#beargate and as earlier the jokes are once again on Apple. #bentgate - Apple iPhone 6 Plus Bends In Your Pocket !! 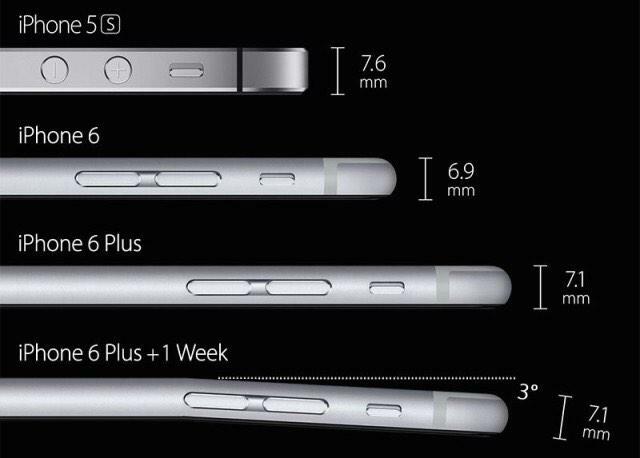 Apple iPhone 6 Plus is prone to bending pretty easily (video) and the internet is already abuzz about it. The same has called for some really funny takes on the phenomenon which is now being called #bentgate, here are few good ones for you to enjoy. 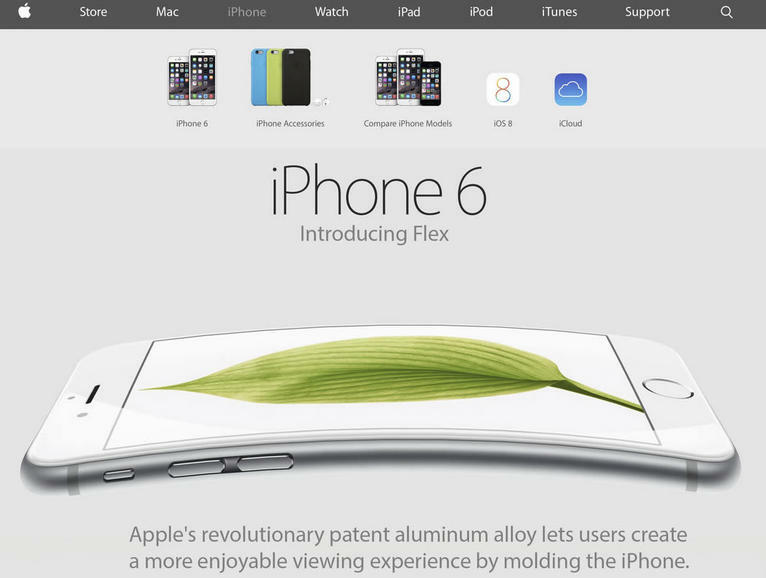 Read more about #bentgate - Apple iPhone 6 Plus Bends In Your Pocket !! 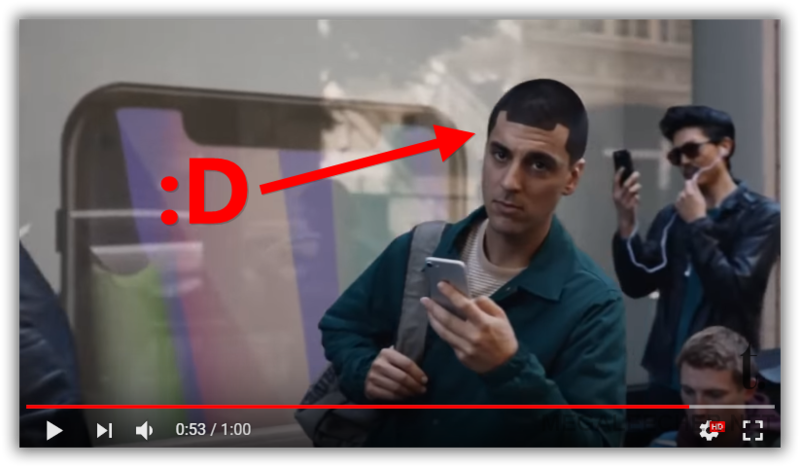 While rumors of an Apple branded smart-watch are circulating all over the internet, here is an fun take on it from Joy Of Tech. Full comic posted below (click read more below).